Adoption & Orphan Care! It Is Not One or The Other, But Both! “Coordinate the adoption of deaf orphans in the world!” What DID He mean? After God called me to “coordinate the adoption of deaf orphans in the world”, in March 2008, He made sure I was exposed to the larger world of orphan care and not just adoption. It is much harder to miss the atrocities of abuse, violence, oppression, and exploitation that takes place in the orphan crisis arena, then it is in the adoption arena. However, the similarities are all too often similar. 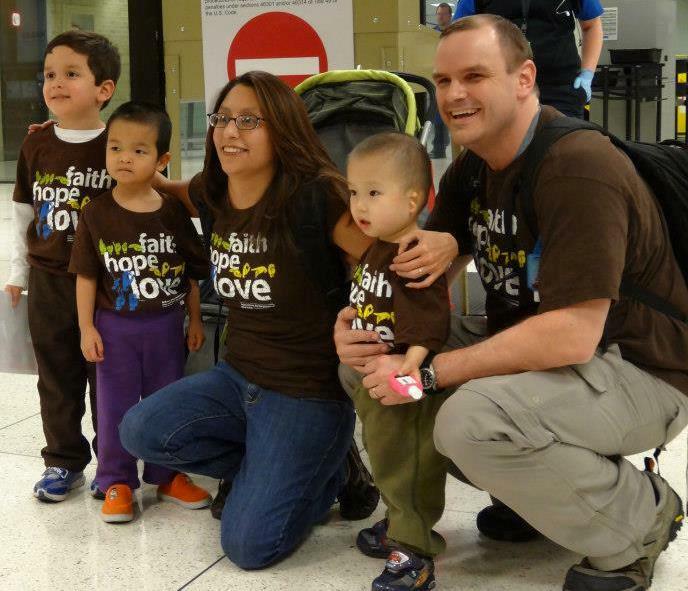 Signs for Hope board members, the Penlands, adopt 2 deaf children from China! In a very short time, 4 years, I have watched the world of orphan care and adoption evolve. That evolution includes the “how”, “what”, “when”, “where” and “why” of doing it. Our doing has rarely matched what really is truly needed nor answered the greatest need of long-term life change and self-sufficiency…empowerment! The most impressive orphan empowerment program, which I have seen with my own eyes, is the model God gave a Rwandan woman, named Epiphanie. ZOE Ministry supports this model in multiple African countries and I am in awe of how this program is empowering thousands of orphans for self-sufficiency in under three years! Phenomenal! Epiphanie with one of the many ZOE orphan groups in Rwanda! Enabling those in poverty, by the Christian world, is one of the reasons I was so ready for the book, “When Helping Hurts“, when Joseph recommended it to me Christmas break of 2009. I was so disillusioned by how little life-change there was when someone “helped” another in need. I watched this viscous cycle in the local community surrounding my church and in the local Deaf community, for years. This was easy to see in multiple poverty-stricken countries around the world, as well. Most often our helping does nothing more than make us feel good and perpetuate a mind-set of poverty and continued low or no self-worth. A hand-out is rarely a hand-up! Trying to break that cycle is not easily defined and not a quick-fix, nor is it for the faint of heart. This is one way God prepared me for recognizing that Signs for Hope was not only to be involved in the traditional adoption of deaf orphans, but some how helping care for and empowering the thousands of deaf orphans and children that will never be adopted or cared for by others. The numbers of deaf orphans/children suffering greatly in this world are staggering and while SFH cannot help them all, we can begin helping one-by-one, starting with the deaf children/orphans in Liberia, West Africa. God would not allow me to overlook this much larger population of deaf children in need, those that will never be adopted. Signs for Hope calls this part of our ministry Heart Adoption (monthly sponsorship). The monies are spread throughout ALL the children. However the personal relationship you develop with your monthly sponsored, Heart Adopted, child through daily prayer and your sending small hand-carried packets a couple of times during the year is life-changing, for them and for you. While most large monthly sponsorship organizations are focusing on children, still in a family, and mostly at risk of not being able to receive an ongoing formal education (or Christian education), the SFH Heart Adoption program is providing the basic needs of life; food (two meals per day), shelter, fuel for cooking, and funds for basic medical needs. Sometimes funds from the Heart Adoption ministry also go to pay teacher stipends at the Deaf school. 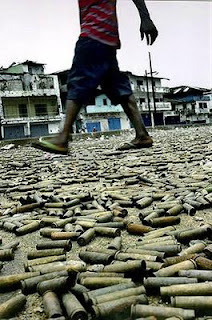 But, for the most part, daily survival is still top priority in Liberia. Email me for a list of over 25 deaf children who still need sponsors in Liberia. At the Oscar & Viola Stewart School for the Deaf, located just outside the capital city of Monrovia, most of the deaf children have some family, but the communication gap added to the stigma of their not being able to speak (or hear) is too much for family members to overcome. Deaf children are considered a punishment or curse by God and many are discarded as refuse or exploited for personal pleasure and/or gain. Yes, there is some education, for these deaf children, mainly because developing African nations, as do all others, place education in such high priority. I am learning more and more that orphans and more specifically deaf orphans/children are in much greater need of learning a trade or a skill than they are of spelling, history and English. And their need for training in agriculture and basic business management is more vital, than say, Recitation. Giving them language, sign/manual language, is paramount even before the above can be implemented. Deaf children as old as 15 come to the Deaf school and still have no language, no way of communicating. Try to imagine this…if you can. While the above realizations are beneficial, trying to tailor them to the deaf children will be more challenging given the vast language barrier between them and the majority hearing world which most often exploits them for their own profit. This barrier will not just magically go away, but it will be a life-long challenge. Deaf children are the least of the least, around the world. Evil people can take disgraceful advantage of them without any fear their evil deeds will ever be told. The percentage of abuse, of many kinds, toward deaf children is far greater that that of hearing children, in America, and around the world. I will expound on this in-justice in a future post. While some orphan care organizations are helping implement, encourage, and educate indigenous foster families (within their own countries) to rise up and care for their own orphans or children that have been abandoned, around the world, the fact remains that rarely are there foster families willing to foster deaf children. Again, the communication gap and stigma between hearing and deaf is much too great. And many times the deaf children are never granted the opportunity to even learn a sign language and are forced to live lives of utter frustration trying desperately to communicate what is stuck inside. Fact: In America, today, it is estimated that only 10% of hearing parents learn to sign with their deaf children. That is in the year 2013…here…in America. Let that sink in for a moment. What is the answer for all these deaf children who are precious in His sight? I don’t know, yet, but He does. Raising awareness that deaf people are equal to their hearing peers, in developing countries, in their villages and their governments, is one place to start. In fact, God is opening this door for Signs for Hope during our February 2013 Mission Trip to Liberia (February 12th – March 1st). A team of hearing, Deaf, ASL signers and ASL interpreters will be sharing this truth, as well as, the gospel in sign during the ACFI (African Christians Fellowship International) annual conference. Shell Casings lining the streets during Liberia’s civil wars! While preparing for my trip to Liberia in 2010, I came across some “documentaries” about the civil wars in Liberia on Youtube. These were filled with the mind-scarring atrocities and evil that took place in Liberia during their civil wars and after. Pictures and stories I will never forget, though I wish I could. Others recommended Kay Warren’s book, “Dangerous Surrender” (thanks Beth Carr). Reading her book was like reading about my own life as it was unfolding; God’s opening my blinded eyes to see a hurting and suffering world of humanity all around me and wondering where do I fit in His plan for impacting these precious human souls God loves, had died for and now lives for. Maybe this will give you better insight into why this ministry, Signs for Hope, is not only involved in the adoption of deaf children into a loving family, but equally involved with the caring for deaf children who will probably never be adopted. The word “adoption”, for me and Signs for Hope, has grown to have multiple meanings: 1) Traditional adoption of a deaf child into a family 2) Heart adoption (monthly sponsorship) of a deaf child that will probably never be adopted traditionally 3) The most important adoption of all for each of us…His adoption into His, one and only, forever family. ****Our Deaf pastor and his wife, Phillip and Elaine Easterling, as well as one of our ASL interpreters, Heather Farmer, are still raising their funds for the Liberia trip. You can partner with them for this trip by clicking on the donate button on this blog. If you prefer mailing a check, please make it to Signs for Hope and mail to PO Box 460, Fairview, NC 28730. Your gifts are tax deductible. « Adoption Approved…Mine & Yours!